Photographer Spent Four Days To Capture One MAGICAL Image! When he discovered the spot, he wasn’t alone. 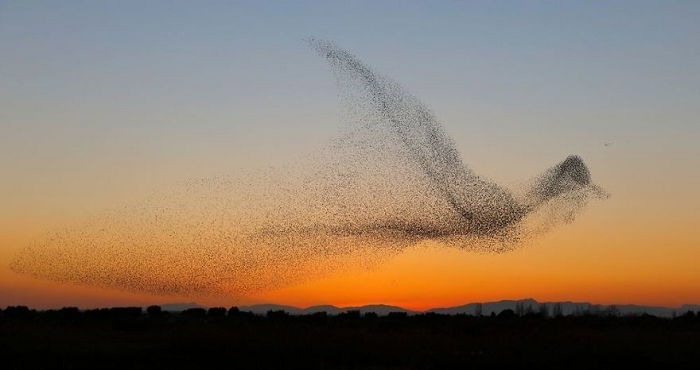 Many people viewed the starling murmuration with wonder and general awe, but he made sure to view them from an angle that would capture the beauty of the setting sun behind them at the same time. While others may have witnessed the incredible moment, they couldn’t have seen the same thing that he was seeing. The images are fleeting, and the paths that the birds take change from one moment to the next, faster than a heartbeat. Biber admits that even he doesn’t know how his pictures will turn out. The only way he can tell what he is seeing is if he views the pictures later on his computer. 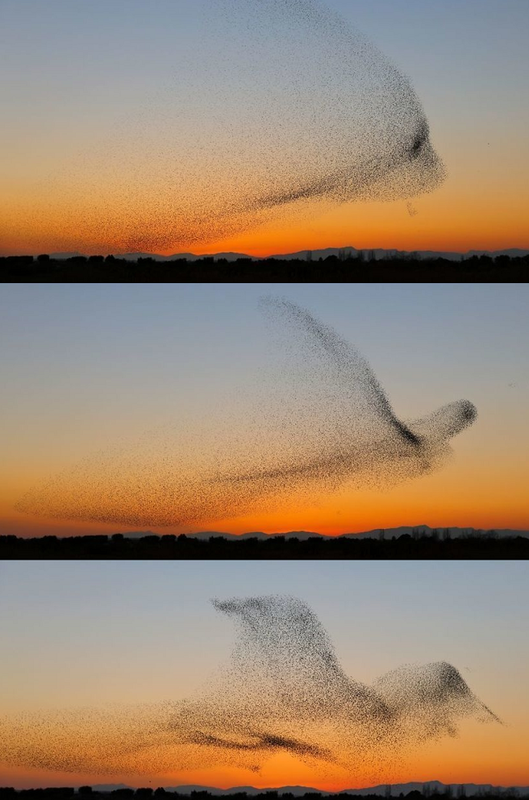 The birds move so elegantly, so quickly, that their true beauty is in their movement…until now. When he saw this image, he knew that it was perfect. The birds had flown in a pattern and at such an angle that the image of a bird was clear. 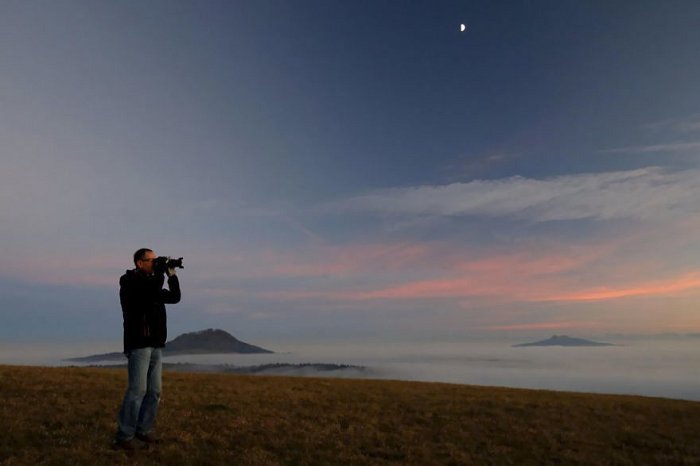 His picture was entered into an international competition. Up against 6,800 pictures taken by 540 photographers from around the world, his image won!